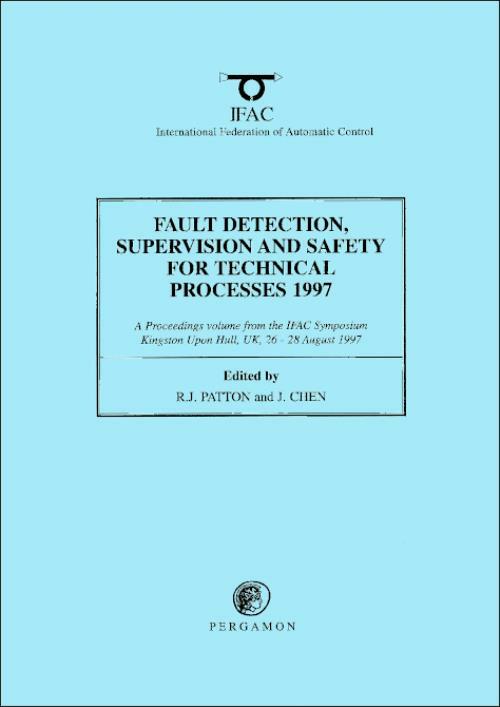 SAFEPROCESS '97 was the third in this major IFAC symposia series and covered a wide range of theoretical and application studies concerned with the reliability, availability and safety of controlled systems. The goal of the symposium was to bring together experts from different fields to give an overview of the state-of-the-art, present new research results and show future developments. In addition, there was special emphasis on industrial requirements for FDI (fault detection and isolation) and a new session on the human factors aspects of system monitoring and safety that reflects the growing interest in this area. These proceedings contain the 209 papers presented at the symposium and comprise: plenary overviews; state-of-the-art reviews and surveys; the very latest results; and tutorial papers. Automotive System Diagnostics. Parity Equation Approaches. Power Systems Fault Diagnosis. Vibration Analysis in FDI. Fault Tolerant Control. Multiple-Model Approaches to FDI. Plant Management and Maintenance. Fault Tolerant and Reconfigurable Control. Human Factors in Fault Diagnosis and Supervision.